Deciding to become a real estate investor might be the smartest financial decision you’ll ever make. The next step is to make sure you do it right. 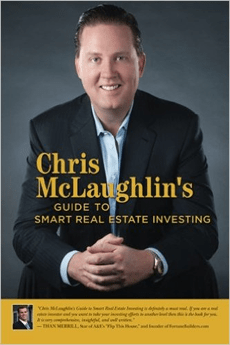 Chris McLaughlin is a seasoned and successful real estate investor whose offices collectively sell over a billion dollars’ worth of real estate each year, and he’s sharing everything he knows with you. His guide is much more than a simple walk through the process of buying and maintaining properties—it’s a comprehensive overview of making the best decisions for your financial goals, optimizing your investments for maximum return, and working toward building the happy and rewarding life you’ve always wanted. Learn about the many different property types and their pros and cons for investment. Assess your local real estate market, and develop a strategy according to the realities of your area. Get to know your credit record and why it’s important, discover your options for financing and funding your investments, and find out how to close deals and predict the unexpected costs and risks you might face. 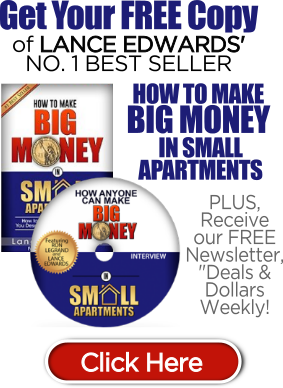 Anyone can become a successful real estate investor, and picking up this book is a smart step toward taking your financial future into your own hands.